Working with textures give endless possibilities to designers and you can easily save your time by applying textures.A texture can easily make your design appealing and turns your piece of art into a very realistic form. As usual we continue to share free resources for designers and today’s freebie Free Paper Texture Pack comes from Company Folders, Inc. 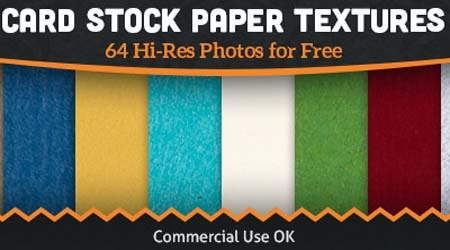 Here you can download professional, full-size photographs of the 64 high quality paper stocks they offer.